These are the words of Swiss explorer Francis Bandelier, who visited the town of Mitla in the Mexican state of Oaxaca in 1881. While Bandelier’s comments are ethnocentric, he may have been on to something in observing the “air of weirdness” that hovers around Mitla’s copious ruins. These ruins stand at the center of local legend, giving rise to lore that is both inseparable from Mitla’s landscape and Mexico’s broader, complicated history. These “relics of another world” form the backdrop of many legends; sites of the uncanny, the ruins on occasion become more than just emotionally charged places and acquire an agency of their own, possessing locals and demanding they pay their dues. 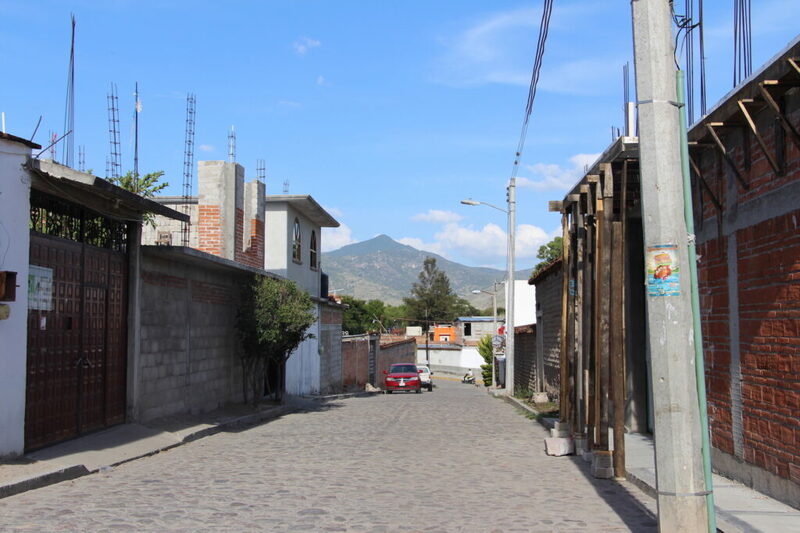 Mitla is a Zapotec town in Oaxaca, a state in southern Mexico. Its name is derived from the Aztec place-name, Mictlan, which means, “land of the dead,” and is also incidentally the name for the Aztec underworld. In part, this also explains why when the Spanish arrived in the middle of the 16th century, they exhibited fear and reluctance in relation to Mitla, even going as far as to refer to it as “infierno,” Hell on earth. Originally, however, Mitla was called Lyobaa, a Zapotec word that roughly translates to “place of the souls.” The town was and continues to be incredibly cosmologically significant as the place where all Zapotec souls continue to be “deposited.” So, as one meanders the streets of Mitla, you may be treading quite literally on a stratigraphy of souls. With a name that was once crudely translated to Hell, it’s no surprise that Oaxacan ruin lore is a fascinating remix of pre-Hispanic symbols and Spanish colonial ideology inextricably tied to place. 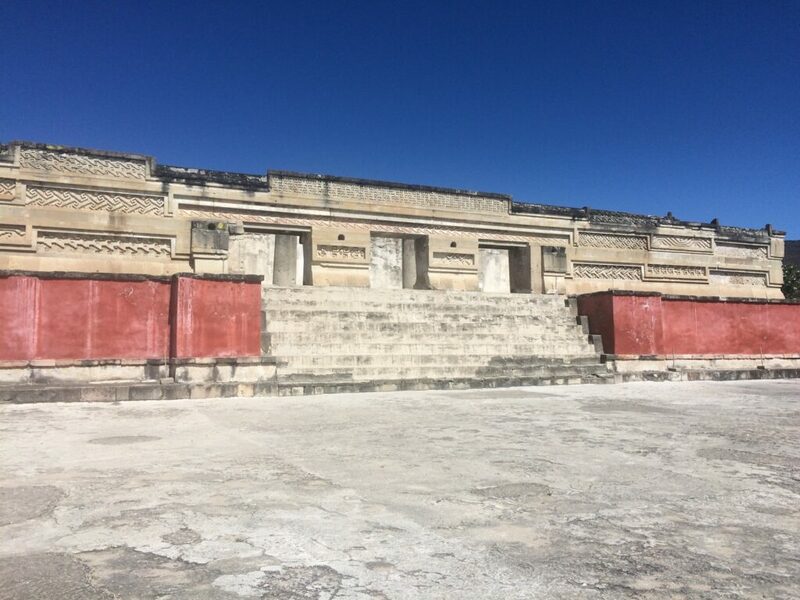 Here there be stories of spirits and demonic activity at Mitla’s palatial ruins, an archaeological site you can visit if you travel to Oaxaca. In journeying to any local cave—sacred pre-Hispanic portals to the underworld—you may also encounter the Devil himself lurking about. Old Beelzebub, in true Faustian fashion, is known for tricking individuals into selling their souls in exchange for treasure that, once acquired, turns to dust. Christian imagery has not quite replaced pre-Hispanic imagery in Oaxacan lore and legend. For example, there is the case of Mitla’s Old Woman Sus Giber, a mythical maternal figure and member of the original Zapotec pantheon. In some stories, Sus Giber is “Old Stone Woman,” one of los antiguos, the Ancient Ones. The Ancient Ones are said to be from the twilight era, a time of total darkness—Mitleños understand this to mean the temporal order which preceded ours. As Earth moved from one temporal order to the next, the sun rose and “destroyed” the Ancient Ones to make room for the next order. The Ancient Ones, purported builders of Mitleño monumental heritage, were either petrified by the light or retreated underground to live in Mitla’s subterranean tunnels – the same tunnels that frightened the Spanish to such a degree that they holed up these entrances. Sus Giber never made it underground. Petrified by the new sun’s light, she turned to stone right outside of the sacred mountain, Guirún. Despite this, as a supernatural, she may still be invoked before the mouth of caves or in the ruins. The problem is that Sus Giber has mostly been displaced by the legends revolving around Satan. The choice to use “displace” is deliberate. Both Sus Giber and the Devil simultaneously co-exist around caverns and ruins—the visitor simply never knows who may appear to do their bidding! In most instances of Oaxacan ruin lore, the landscape forms the backdrop for supernatural activity and uncanny encounters. Yet what is quite possibly most unique about Mitla are the stories where the landscape—or, rather, the ruins themselves – do the bewitching. 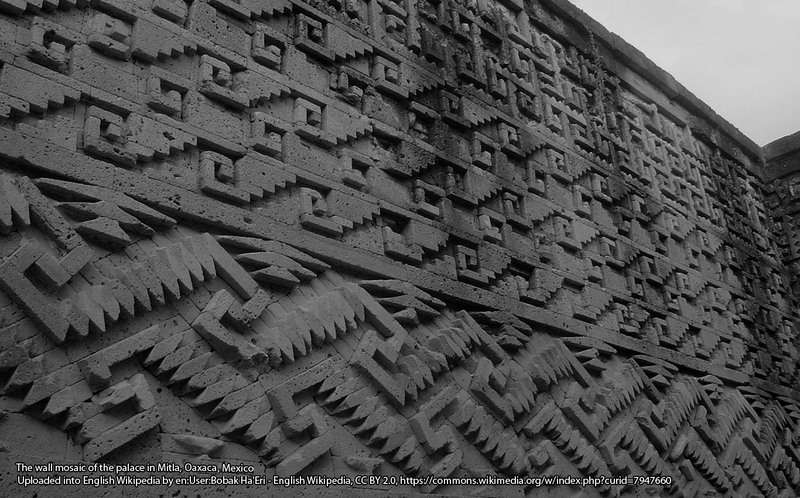 There are multiple accounts of Mitla’s ruins haunting locals through disturbing and vivid dreams. According to several friends, ruins haunting people through dreams often takes a dark turn. As the ruins reappear in dream after dream, the person is said to first be embrujado – bewitched – before they are ultimately deemed possessed. Being possessed by the ruins occurs when dreams turn into nightmares and the individual spirals out of control. In every instance where the ruins have possessed people through dreams, the individual descends into an atypical form of madness. They are struck with “ruin envy” and cannot rid their minds of the ruins. This form of possession is so serious that members of the community must seek help from local shamanic healers. The only cure is to take the afflicted to the ruins and perform a cleansing ritual where they must ask to be released from the ruins. 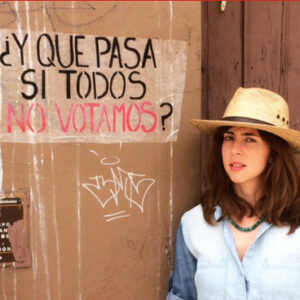 We can read these accounts simply as stories, a part of a larger conglomerate of folklore, or they can be interpreted as a reaction to the ways that history is produced and managed in Mexico, and perhaps more broadly. In petitioning the ruins for a release, the possessed begs the most profound and emotionally laden symbols of their pre-Hispanic past to be, ironically, dispossessed. Those ruins that impress themselves so keenly on locals and visitors alike crouch behind gates, managed by an institution that controls access to the ruins in the name of patrimony and preservation. 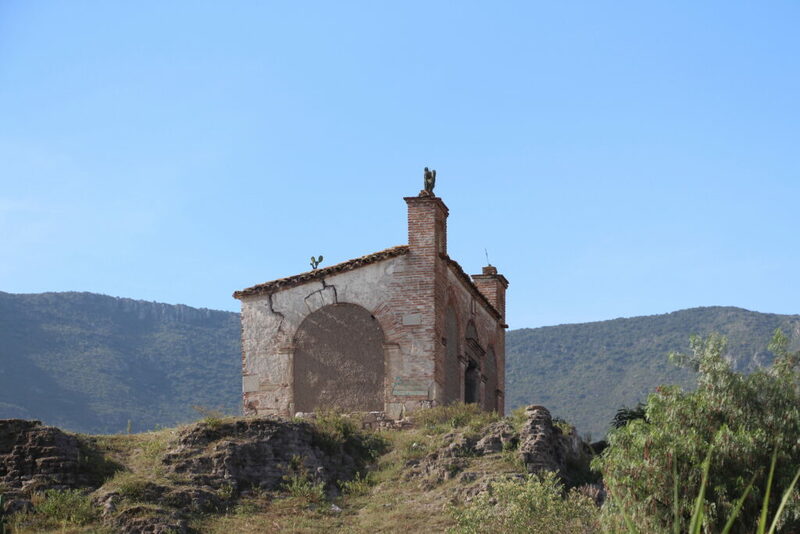 The institution safeguards Mitla’s monumental heritage to ensure it is there for future generations, but in controlling access to these ruins, many Mitleños loudly expressed how they felt dispossessed by these ruins and their own history. From dispossession flows a ghostly possession – in the shadow of fraught social relations and beneath the burden of history, locals connect with their complicated material landscape in order to feel again. Alicia Barabas, Marcus Winter, M. del Carmen Castillo, and Nallely Moreno, 2005, La Cueva del diablo: creencias y rituals de ayer y dehoy entre los zapotecos de Mitla, Oaxaca, Cuadernos del Sur, 11 (22): 21-33. Wilfredo Cruz, 1946, Oaxaca Recóndita: Razas, idiomas, costumbres, leyendas y tradiciones del estado de Oaxaca, Mexico, D.F. Alfred Gell, 1998, Art and Agency, Oxford University Press. Elsie Clews Parsons, 1936, Mitla: Town of the Souls, University of Chicago Press. Janet Steele, 1997, Cave Rituals in Oaxaca Mexico. Paper presented at the 62nd annual meeting of the Society for American Archaeology, Nashville, TN. Francis Bandelier, 1884, Report of an Archaeological Tour in Mexico, 1881. Boston.